Growing up in a very small town kids started school at age five to six depending on their birthday. Some kids went to Headstart at the one and only daycare in town the year before K5. Daycare (IF your mom even worked), Headstart, K5/elementary in that order. I was not one of those kids who went to Headstart, so school for me began with K5. Straightforward right? Well, fast forward to adulthood when I'm enrolling Calvin in daycare, living in the Big D and nearly every mom works. Daycare had become a normal way of life in my generation with centers everywhere. Several in each neighborhood, and the cost..well that's a while different topic to write about! Daycare culture in general was all new to me but one thing in particular I noticed was everyone was calling daycare school. Even the workers called it school and I see the phrase in my social feeds. How is baby Suzy starting "school" when she's only three months old? Ok, I realize some daycare centers offer early childhood curriculums and have scheduled tummy times, seriously though..does that turn basic child care into school? 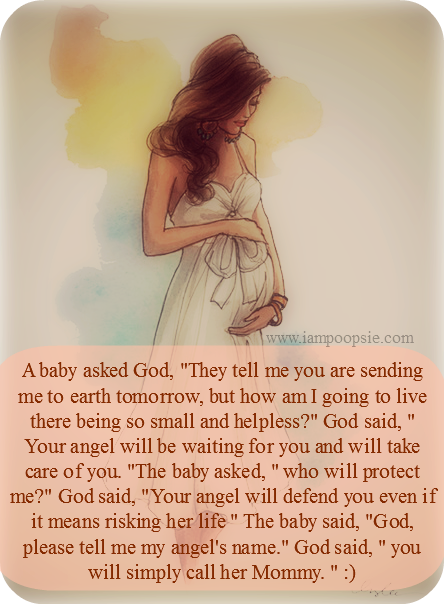 I came across this article when searching for information on this topic, as well as the two cents from BabyCenter. The conclusion is daycare became school when daycare became standard in our culture and calling it "school" makes parents feel better. So, that's it? It makes us feel better? This is why we are not calling it for what it is? If the difference between putting food on the table is either not having or having your child(ren) in daycare then there should be no guilt! Do not let others put you down or make you feel bad for what you need to do for your family. They after all are not paying your bills! The riff raff around the attitudes of "why have kids if you aren't going to raise them and just put them in daycare" are a bit outdated and ancient. Times and economics have changed since the days of our mothers and grandmothers. It's nice if you want to and can but the working mom is by no means a lonely boat anymore. Why all this guilt? Children under the age of four (except for in special needs) are not in school. They go to daycare, say it with me d-a-y-c-a-r-e. What you choose or just need to do for your family is no one's business. Don't let anyone make you feel guilty about using daycare and just call it for what it is. I have been following a mom blogger on Facebook for a few months called Thrifty Momma Ramblings. 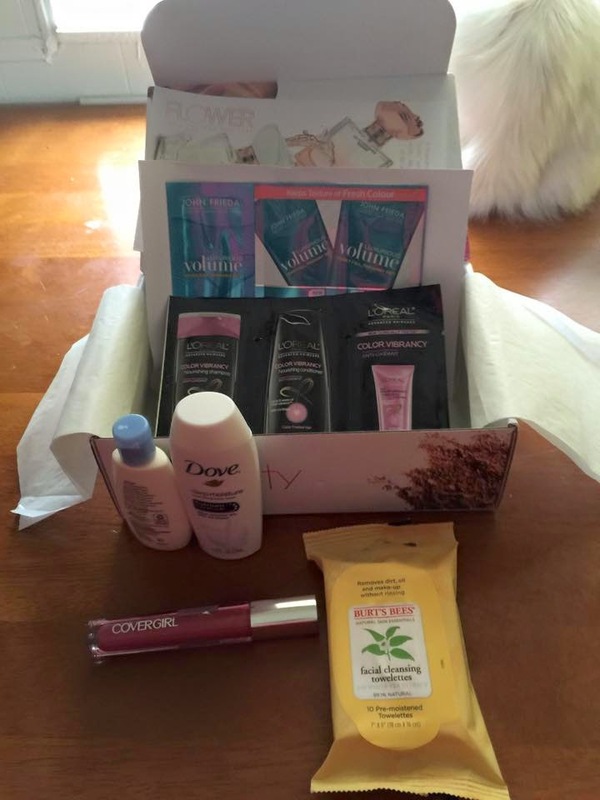 She posts several times a day about contests, giveaways and free samples. I highly recommend her page for leads on freebies and quality contests; and she goes the extra mile to screen out the scams. Overall, for $5 I am a happy mama with my box of goodies! No doubt the lip gloss alone costs more than that but instead I got a new gloss and a change up in my beauty drawer without spending a bunch of cash that isn't in our budget. Which ultimately means I wouldn't have had those few new goodies at all. 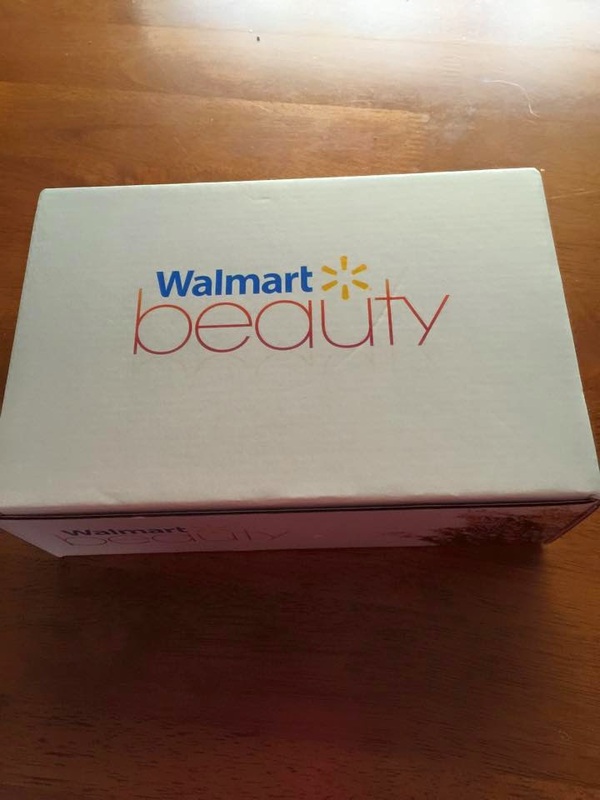 I give the Wal-Mart Beauty Box five stars!!! I'm not going to go into graphic details just because I believe some things should stay private within a family. The reasons why she came to live with me were private from this blog from the start. Even though her identity was concealed, I still believe the public doesn't need to know every single detail. I'm going to be a general as I can be and still paint a picture. It's been months of drama and chaos, learning as we go. Some of that is my fault for not laying down some basic rules but I was under the impression "she was a real good girl" and I should have no problems with her. Her mom had given me a totally different account so I just wanted to see for myself how things would go. Wrong. Wrong. Wrong strategy with a teenager. I didn't have a sit down heart to heart with her mom before opening my door. I should have. After I heard some stories that sounded off to say the least I didn't immediately investigate. That was wrong of me, I should have inquired immediately. Looking back on this experience there was a lot of wrong on my end. I take responsibility for that. If I ever take in another niece or nephew things will definitely be different from the word go. Even after recognizing the error of my ways and starting anew, having talks, sharing life experiences and trying to bond with this girl who just seemed so broken. Being patient and biting my tongue during medication trials and switches. Praying and hoping there is a light at the end of the tunnel for her soon. I made rules that got blown off or circumvented by other means. Leaving such loop holes open was a part of my fault. While she was gone for Christmas break, the Pops and I sat down and talked for the first time in a long time about what we need to set up for our family to be successful. I seeked Granny C's wisdom and advice on what to do with a teenager and what had been going on. She gave us better ideas and rules to implement. Not just for the Teen but for our whole family. WHOLE family, we all need the help. We made a written list of rules and a schedule for the whole family. This wasn't a Teen attack, but synergy for our home. There were issues we needed to get reigns on though. Last night the Pops and I went over the rules and schedule and we were met with attitude, resistance and un-gratefulness. Her true colors were shown in her principal's office over her blue hair that was supposed to be corrected upon return from break. I knew for a fact this was going to be an issue with the school. When she was shown to be wrong and caught in a lie; she lashed out and informed me she no longer lived with me. Ok. All bridges burned and all doors closed. No longer with she use or manipulate me, my house or set a poor example for my very impressionable two year old. Who witnessed all this back sass last night and outburst this morning. Nope, not in this house! The saddest part of this ordeal was Calvin being totally heartbroken as he watched his Teen move her stuff out of the house today. He didn't understand and didn't want her to go. He cried as she left and cried for a long time after. Godspeed and best of luck. First off, Happy New Year everyone!! Now that we are past the holidays and most folks likely received new clothes, shoes, accessories and/or gift cards for their favorite store. Now you need to make room in your closet for all your new duds. What to do? Pull garments and items you haven't worn in a year, neatly fold and bag up for your local resale shop. Not consignment, resale. The difference is with consignment the store owner allows you to place your garment on their rack and once it sells they will take a percentage of the sale. With resale, the store owner buys what they believe will sell in thier store and pay you cash upfront. No waiting for a sale, just cash in hand! 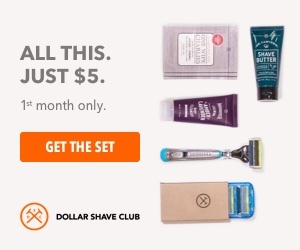 Now you have room for your new goodies and a little extra cash you didn't have before. Resale works just as great for buying too. You can find name brand items, even high end name brand for a fraction of the price of buying brand new. Often times the items are in excellent condition. When the store associate examins items to buy they look for stains, tears, scratches and other blemishes that will make an item unsellable. Items are high quality even for being second hand. Plato's Closet and Clothes Mentor are stores I recommend, but just Google resale clothing in your zip code and you just might find your new favorite store. An area I found resale to be particularly helpful is in the baby and kid department. We know babies can be expensive to prepare for and then once they are here they grow like weeds right out of all those tiny outfits. They can out grow some of that baby gear in a short amount of time too. Babies spit up which can sometimes stain. So don't expect all baby garments to make it to resale. The gear however, is almost always a guarantee to bring you cash. There have only been a few times in Calvin's two years where I was not able to sell an item. All those times it was due to being an item that the store deemed un-sanitizeable (ex: bath tub) or not an item they could test to make sure it worked (ex: bottle warmer). Overall, I have had positive experiences with resale, nor am I complaining about the few things they wouldn't take. My favorite store in Dallas was Once Upon A Child. I'm so sad we don't have them out here in the Tyler area. However, there is a nice store in Tyler called Mommy & Me Consignment that I have been very happy with. They also have a sister store where they send items that haven't sold or maybe they didn't catch a small stain when they bought it, and most everything is only a $1!! Talk about awesome and a huge help to a cash strapped family! Little FYI, the $1 store is only open Thursday - Saturday's. Call the store and check the schedule before heading into Tyler. Happy exploring, selling and shopping!